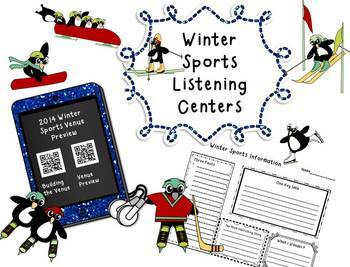 Great way for students to practice Winter Sports with Ipads/ipods. Students will scan the QR code and listen to a story and then use one of the graphic organizers to show the sequence of events in the story. Use one as a whole group activity and then use the rest in a listening center for further practice. I have used I-nigma as a free QR reader, but there are many others out there that are free. All of the books go through SafeShare so no student will be able to access Youtube. History of Ice Hockey-45 mins!! !